Claire Langlands is a personal stylist, fashion coach and style expert. Her passion is encouraging people to feel better about themselves by helping them to discover their own ‘signature style’. Why Choose Living In Style? Ask yourself this question – what does your image say about you? If your answer is not what you would like it to be, then give me a call on 0418751008 to make a booking for your initial personal image consultation. Whether you need a closet clean out and update, a clothes styling transformation for a new career, an outfit for a special moment such as a party, red carpet event or wedding, inspiration in putting together new attire, help choosing the right clothes while shopping, or a complete new colour co-ordinated look … then you’ve found the right place! Together we’ll discover your own unique look, your ‘signature style’! Think of me as your own private wardrobe coach. As your personal stylist in Perth, I’ll support you in discovering who you really are deep inside. Then I’ll be able to advise on how to use the perfect mix of style and fashion trends to help you become the best you can be. With a background in media, I know how important giving the right image is. With my helpful styling tips, you’ll be able to portray your individuality in the best light through the clothing and accessories that you wear. Yes, that’s what my job is – to be your trusted image consultant in Perth. My services as a fashion stylist and personal shopper in Perth will come in handy whether you need a closet clean up, wardrobe update, new career clothes, or outfits for a special occasion. With my expert dressing and shopping advice, you can put together the perfect set of attire and create a completely new look. If you don’t like your current image, get assistance with women’s and men’s styling in Perth by contacting me today! I’m available to chat on 0418 751 008 or you can contact me here instead. Let me help improve your sense of fashion and show the world who you really are! Wearing the right colours enhances your complexion and makes you look younger and more vibrant. As your image consultant I can help you determine what are your best complimentary colours and how to wear them to look great! Being stylish is all about discovering your personal style, but making sure to bear your body shape in mind. I can help you know what clothes suit you and how to put them together in a way that represents the true you. For men, dressing in the correct clothes to fit your body type and the right colours for your skin tone is extremely important! Let me show you how to choose the perfect style for you, no matter what the occasion. There is a mixed bag of fabulous jewellery that is on trend for accessories this Spring Summer 2017. Discover your favourite looks or aim to wear them all. This article will tell you what is on trend as the whether heats up. The smart casual look is a really fun way to dress and this article will help you to decipher the dress code so you will have an outfit to take you out and about when required. I’ve been able to help both men and women through my personal styling service to put together smart casual outfits that suit their unique style tastes. Hope you find this really beneficial! Are you bored or confused when you look at yourself in the mirror? Wish to get a whole new fresh look? If so, you need to get in touch with Claire Langlands at Living in Style, one of the best colour consultants in Perth. For your personal well-being it’s extremely important to look and feel great, whether at work, out with friends or maybe at a conference or special event. It helps give you inner satisfaction and boosts your confidence. If you’d like to improve yourself and become more ‘fashion confident’, you can easily get in touch with Claire, our fabulous image consultant in Perth. As a trained makeover artist she’ll help you discover your very own fashion flair using the latest stylist techniques. She’ll advise how you should dress for your unique body structure and skin tones. As a bonus Claire’s also a skincare and makeup expert and has great tips for what kind of makeup will suit your your skin colour and complexion. Our fashion makeovers aren’t expensive affairs for rich fashion icons buying extravagant clothes. Instead each of our affordable styling packages are specially designed to suit you, the everyday person, no matter what stage of life you may be in. Our styling clients have included mums returning to work, people changing job positions, and others who have recently retired. Even if you just need a change in look and you’re not sure how to achieve it, Living in Style can help! 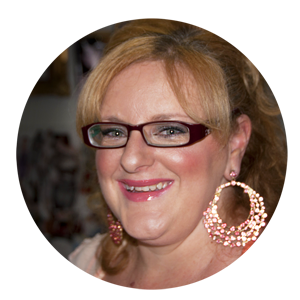 As a qualified personal stylist Claire’s a complete wardrobe coach. She’ll give you sound styling advice which is tailored specifically to your body type, whether you’re a pear or wine glass shape. Also correctly matching your skin colour, be it a cool or warm tone, to complementary clothing colours is essential. Blending your own personal style with the latest fashion trends doesn’t have to cost the earth. With professional and friendly help from our style consultant, you’ll be able to blossom into the confident person you deserve to be, and bring out your individuality in the best possible way. So if you plan to hire a personal stylist in Perth, you can get the best makeover advice with Living in Style. As personal stylists at Living in Style we provide great up to date fashion advice. If you wish to upgrade your wardrobe look, if you need advice on the latest trends for a special occasion, if you need career clothes or even if you are going on a date with that ‘special someone’, our expert stylist Claire will help you out in every possible situation. Improving your overall appearance is simple, and our styling prices are affordable to everyone. You’ll feel great about being yourself, once you get in touch with our image consultant services in Perth. 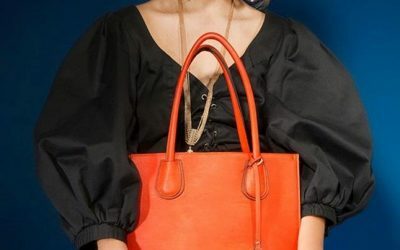 So if you wish to get your styling session started as soon as possible, contact Claire at Living in Style, the professional image consultants in Perth.